I know the frustration! And if you are looking into this topic then you probably know it too. Personally, I find 3D printing so exciting. Watching these thin filaments turn into shapes is kind of satisfactory, isn’t it? But then after a while, it is just not good enough. It's either you want to level it up, you are bored with how long it might take you to get a good print or you are starting to face some issues with your print and you find yourself compromising its quality.. This is why in this article we are going to go through some general tips and tricks to improve your 3D printing as well as some solutions to the most common bugs that you might be facing with your 3D printer and how to fix them. So without further ado, let's just get into it. 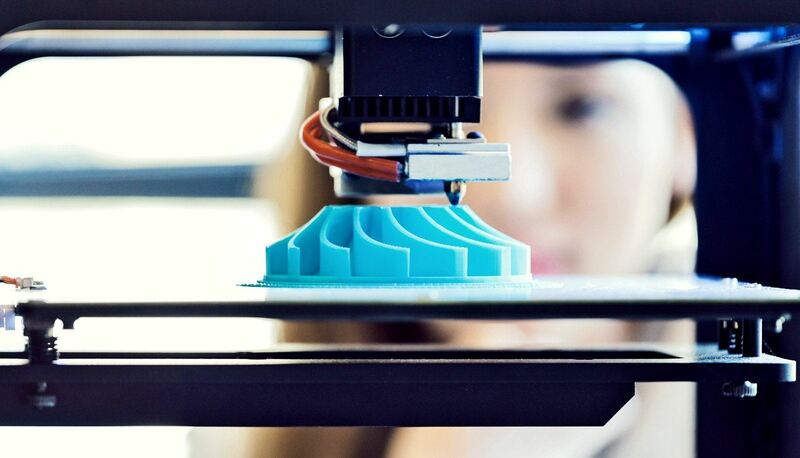 For most of us who are using 3D printing for a business or for commercial purposes, it seems more practical to speed up the process. But, you know what they say "Quality not Quantity". Sure, you don't want your print to take a million light years to be ready, but give it enough time, to avoid imperfections. Make sure your product is worth every penny to be paid for it. First, and without getting all scientific, the print head is moving too quickly to get to the new point. This is like moving a knife too fast through a piece of meat; it just won't be cut probably. Make sure there is enough contact time. Secondly, the faster your printer is going the more heat it generates and while this might not seem like much of an issue especially if your printer is new, but this could possibly melt the previous layers and disfigure your print. Also, you might experiment some strings of filament along the parts of the printed objects because of the high temperature. A lower temperature will help to prevent the hot plastic from oozing out of the extruder nozzle. And while we're at it and talking about the temperature, a good trick that you can use to cool up your machine and avoid ruining your print is to simply use a fan below the glass transition point of your plastic. Think of your 3D print as a piece of art or a painting. You want to experiment and come up with a way for the best results. Using different build plates will give you different textures and maybe you can then flatter your print with a matt finish or a metallic one. This is actually crucial and it goes without saying that different filaments serve different purposes for your 3D print. Some filaments are stronger than others; some are easily affected by moisture and bubble up during the printing process if you have been storing them for too long. It is always a good idea to use filaments from a well-established manufacturer that has a good reputation. Treat your filament with good care; know how to store it and how long you can keep it before it negatively affects your print. Warping is one of the most common issues you might face while 3D printing. This is all because the layers you print do not adhere well to the print bed. Try using glue or hairspray to improve your filament adhesion. Sometimes the lack of filament retraction causes your nozzle to drag across the surface leaving a line after the first layers sticks. You want to re-adjust your machine and raise your nozzle to avoid this dragging and get a better quality for your print. Your print is built up one layer over the other. Think of it as netting or a building. If it doesn't have a good base, it will just tear or fall apart. Make sure your filament is conveyed correctly, it flows evenly out the extruder, the printing bed is perfectly aligned and the distance between the nozzle and the printing bed is set correctly. If you notice any error, do not assume that it won't be that visible when your print is done. Stop and re-adjust, the earlier you realize an issue and deal with it, the better your print will turn out and definitely the sooner you will attain your goal. When you are done with a print that has a lot of details, notice if there are any gaps in the corners of the bottom or top layers. Close those small holes. Increase the amount that the perimeter overlaps the infill. Slow down your printing speed if this is the reason you end up with these gaps. Know how to compliment your print. Remove any extras or imperfections with a sharp knife. Try giving your print a glossy finish. Use acetone for smoothing ABS, ASA or PMMA prints. Maybe you should try a new treatment, see if things go well and voila! Your print now looks more fancy and appealing. Even though this seems pretty obvious, but for a lot of people, including myself sometimes, the main focus is on the print itself. Lubricate your axes, keep the build plate clean, tighten the pulley screws and clean the extruder. Patience is the key to success. It is always a smart idea to schedule and know your priorities. Work out a system and stick to it for better achievement. Once you are familiar with it and your prints are improving, level up your game even more and keep going on in the same fashion. Ever been in a situation where your printer just kept extruding layers of absolutely nothing?! Yeah, me too and here's how to get your printer back on track. First: as soon as you realize interruptions in the stream of plastic STOP your machine. The sooner you are able to identify there is blockage the better because sadly, wires commonly break. Of course it is a safer option to have a non contact laser temperature sensor. Check the temperature of your jammed heater block. If it is within the expected range then don't turn off your heater block, leave it turned on. Reassess the status of the filament drive. Make sure it is not blocked and that the filament is not buckled or wrapped around the wheel of the extruder drive. On the other hand, if the filament is buckled then remove it. Gently pull the filament out. Push the melted filament into the hot-end after cutting it off and congratulations, you have just cleared the blockage.